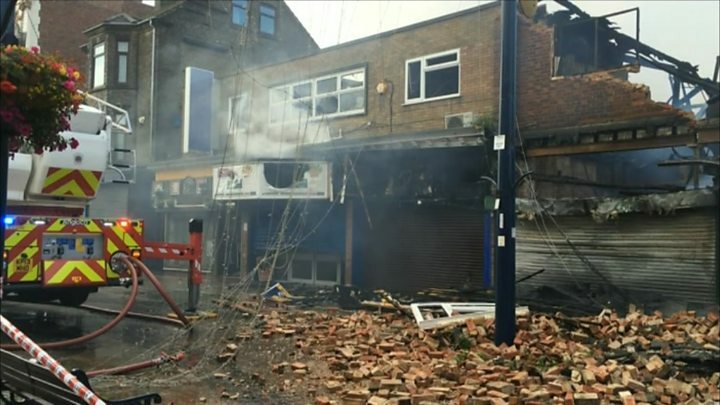 The owner of Great Yarmouth's indoor market has said the fire which destroyed the building may have started in an ice cream freezer. Phil Thompson, who has run the market for four years, said it was a "relief" to know it was not started on purpose. 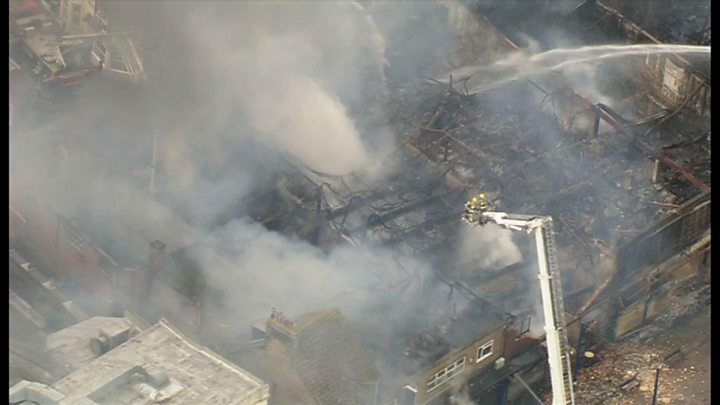 Image caption The landlord of the indoor market said the blaze which ripped through the building may have started in an ice cream freezer. 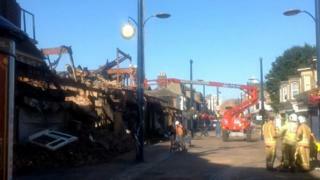 Image caption Phil Thompson, owner of the market, said it was a 'relief' to know it was not started deliberately. He said: "You're thinking the worst of everything, someone getting in and doing something but obviously that's not the case which is lovely, absolutely brilliant. "But for a freezer to cause this devastation is absolutely terrible." 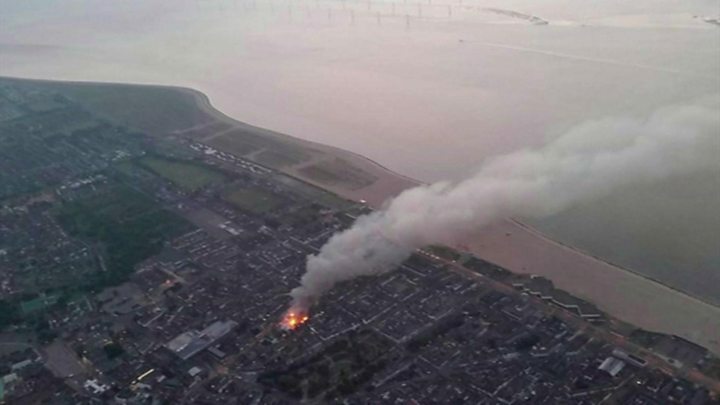 He said CCTV footage shows the appliance going up in flames - but a spokesman for Norfolk Fire and Rescue service said the findings of the investigation were yet to be confirmed. Councillor Penny Carpenter, deputy leader of the council, said: "As a council we need to speak to the traders personally on a one-to-one to see exactly what their requirements are going to be and how we can assist them." At the blaze's height, the pillar of smoke billowing from the country's oldest working bowling alley could be seen up to 11 miles away.